Press Release: Red Bull KTM regrets to report that reigning motocross champion Ryan Dungey has sustained a cracked vertebrae and will miss High Point and several upcoming rounds of the AMA Pro Motocross Championship. 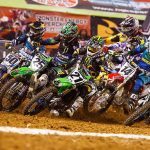 The injury happened when he crashed while battling for the lead on the opening lap of Moto 2 at Thunder Valley MX last weekend. Showing immense heart, Dungey bounced back from the crash and rode a remarkable come-from-behind race coming from 19th place back to 4th spot by the races end to finish 2nd overall for the round. After evaluation by several doctors this week, the doctors have confirmed that Dungey cracked his C6 Vertebrae in the fall and requires a minimum of 6-8 weeks healing time. 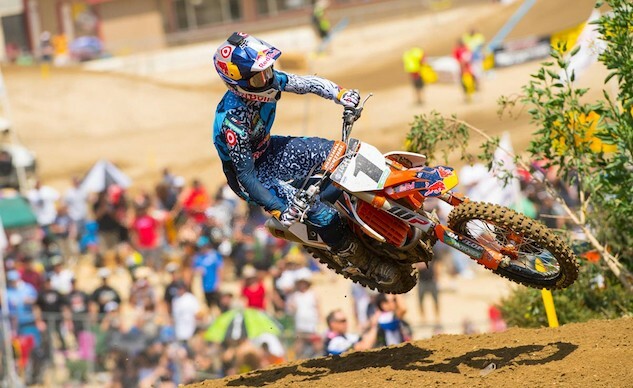 The entire Red Bull KTM Factory Team wishes him a speedy recovery.